It is my pleasure to host a poetry salon for Susan Rich whose latest book, The Alchemist's Kitchen, was recently released by White Pine Press. Ideally, I'd like to have this party in my home, but since I live in New Jersey and Susan lives in Seattle, that's not possible. I've known Susan for several years on the Wompo listserv. Then we met in the fall of 2007 when we both read at the Burlington Book Festival in Vermont. We met again later that same year at AWP in New York. Everyone, please get comfortable and let's hear what Susan has to say about her new collection. 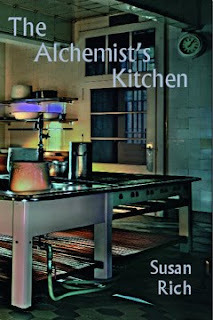 Susan: I think The Alchemist’s Kitchen is a departure in a number of ways. This is my first time composing poems out of history, out of visual art, out of what it means to be living in middle life. My past two books, Cures Include Travel and The Cartographer's Tongue, focus more on the external world, the poems located in the different countries I’ve worked in: Bosnia, Palestine, Republic of Niger, and South Africa. And although I still love to travel, I’ve now claimed a more permanent geography in the Pacific Northwest. In fact, this summer the anthology New Poets of the West, comes out and it includes two of my poems. So although I grew up in Massachusetts and lived there until my mid-30’s, I am now officially a “new poet of the west.” This makes me ridiculously happy. More importantly, perhaps, is that The Alchemist’s Kitchen is my most ambitious book. Dealing with my mortality isn’t easy, let alone writing about it. There are many poems in The Alchemist’s Kitchen that I didn’t want to write. For example, the third section of the book focuses on the strangeness of aging with poems like “The [In] Visible Architecture of Existence,” “Letter to the End of the Year” and “Curating My Death.” Perhaps because I passionately did not want to write these poems, they seem to have an extra sense of urgency about them. My personal sense of privacy and decorum lost. The poems won. This is also true of the poems concerning the life and art of Northwest photographer Myra Albert Wiggins (1869-1956). Drawing inspiration from the visual arts always seemed a little too hoity-toity to me. I began writing the Wiggins poems as a challenge to myself. Could I focus on a historical artist, one that is all but lost to history (the way I may someday be) and re-infuse her work with life? I acquainted myself with her husband and her daughter, her trips to Paris and Jerusalem. By the end of two years, I felt I knew Myra better than I know myself. Getting back to your question, some things stay the same, of course: attention to cadence, image, and surprise. I’m constantly trying to push forward in these areas. I hope I’ve succeeded, but that’s for my reader to decide. Susan: I think we need an all weekend party for this story! The cover comes from a photograph by the German photographer, Phillip Schumacher, whom I met last summer at an artist residency in Spain. Phillip creates what he calls “one shot films” which means his pictures usually include a broken narrative, an unexpected situation and sometimes a detail of the absurd. The kitchen pictured is located in the Villa Hugel, the family home of the German Industrialist, Alfred Krupp, which is now a famous museum. I hadn’t expected to use a literal kitchen on the cover, but I fell in love with the pans illuminated in a lilac glow, the door within a door, and the overall film noir atmosphere of the image. Plus, I loved featuring the work of Phillip, a photographer whose work I admire so much. Phillip is only at the beginning of a very successful career and it’s an honor to introduce his work to North American audiences. One more thing: the cover only features 1/3 of a very large image which includes a life-size plastic stag, an angry chef, and an oven. Interested guests can visit my blog to see the the photograph in its entirety. Diane: Why did you title the book The Alchemist's Kitchen? Susan: The title of this collection came to me far more easily than the titles of either of my past books. I was re-reading Denise Levertov’s New and Selected Essays—many of which were written, I believe, during her time in Seattle. 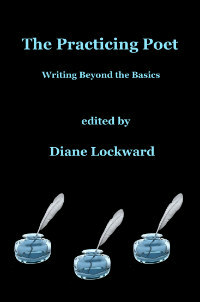 In her essay "Biography and the Poet" (1992), Levertov takes up the question of literary biography of poets (and by extension, she expands, all biographies) as to whether we need to know about the drugs and dalliances of the poets’ lives or if they are “the chaff which the imagination has discarded.” For the most part, she rallies against being too inquisitive regarding the facts of the writing life. But the essay is balanced with praise for certain biographies such as Walter Jackson Bates' Life of Keats, where the biography is in service to the poems or to essays or journal pages some poets had published. Sometimes, Levertov says, while understanding the life of the poet, “one is grateful for a glimpse into the alchemist’s kitchen.” I immediately felt myself drawn to the phrase. I’ve re-interpreted Levertov’s original sense of looking at a poet’s memoir or biography being the alchemist’s kitchen to the poems themselves being the material of alchemy—the ordinary objects turned to gold. In researching more on the nature of alchemist—in its original meaning—I learned that Alchemy has a double origin in Greek philosophy and Egyptian texts. The origin of the word itself is thought to be Arabic. But what fascinated me the most was that the alchemists were not merely interested in turning base metals into gold but were also in pursuit of spiritual discipline and that the transformation of metals was secondary to the wisdom that the alchemist would himself attain through his work. One of my favorite quotes by the poet Stanley Kunitz goes like this: “The first task of the poet is to create the person who will write the poems.” So to answer your question, I’ve used the term “alchemist’s kitchen” as a metaphor for the process of writing poems. That said, I also am a great lover of food — growing it, preparing it, bringing friends together to enjoy it. Susan: I chose “Rental” because it is a poem I most definitely did not wish to write. It was the first poem I finished last summer while I was in residence at Fundacion Valparaiso. A relationship that I had been involved in in Seattle had ended abruptly and the last thing I wanted to do was wallow in those knife wounds of heartbreak. There I was in Andalusia, on the shore of the Mediterranean, and yet memory kept interfering with the sun. Until I wrote this poem, no others would show up. Not surprisingly, once I finished “Rental” it became easier to move on to new work. And somehow, in spite of how much I didn’t want to write this poem, I’ve ended up liking it very much. I especially appreciate the ending which tries to name that odd sensation of hearing the ex-lover’s voice—the same voice that uttered love cries during the relationship—speak in the aftermath. Poetry works in a myriad of exasperating ways. How lucky I feel to be a poet in this life. Sometimes I need to remember how much I wanted to be a writer from the time I learned how to read. And here we are—living the writing life—having drinks and even ice cream in the blogosphere. Now comes the best part of our salon. We get a chance to hear Susan read her poem, "At Middle-Life: A Romance." What's a party without something delicious to eat? 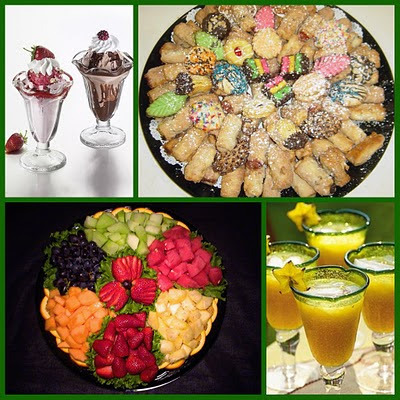 Please help yourselves to a parfait, some cookies, fresh fruit, and cold fruit punch. Be sure to pick up a copy of Susan's book. Then while you enjoy your snacks, please feel free to ask Susan some questions. Leave them in the Comment section. Susan has promised to respond. And thanks for coming to the salon. I so enjoyed reading Susan's insightful answers to your questions, and learning the backstory about the cover. I'm about mid-way through Susan's book, and I find myself re-reading each poem several times before moving on. So much to praise. . . .
What a wonderful Poetry Salon! Loved hearing the backstory to "Rental," and hearing Susan read "At Middle Life: A Romance." I will take another cookie while I reflect on her stunning work. Thank you both! This is a wonderful idea and a great way to celebrate this fabulous poet and her book. Thanks! Enjoyed this so much. Alchemist's Kitchen is in my cart, and What Feeds Us recently arrived in my mailbox, so I feel well nourished, you two! I have been handling some alchemy books where I work, so the title and definition resonate with me. As do the concerns in your poems, Susan. Thanks for this - I'm especially glad to learn more about the cover and the photographer behind it. Susan, would you tell us more about how you organized the book? I have the sense of overlapping arcs. What kinds of decisions went into the deciding which poems went into each section, and how you developed each section? Thanks for this question, Elizabeth! And you are right there is an overlapping of themes which is intentional. As a reader, I enjoy poetry books more where the subjects are not segregated. So in The Alchemist I've tried to braid a number of different themes -- everything from imaginary men to a menu for angels; how inanimate objects stay forever young to the party directions for my funeral. And then because it is also part of my life: movies, civil war, and photography. Ordering books is incredibly hard for me. I work very hard to provide the reader with a way to understand the poems as a whole - when they are of course mostly written as single entities. With that said, the first poem works (I hope) as a lens for the rest of the book -- "Different Places to Pray" sets up a quest for how to live a meaningful life - what feeds us, etc. The section "Incantation" shows a more external world of the poet, sets the scene of a life - perhaps. "Transformation" happens next and includes the ekphrastic poems on the photography and life of Myra Albert Wiggins...Finally "Song" does a number of things -- celebration -- but also the most personal poems -- the reckoning that happens in "middle life" concerning aging, love, death...I feel the most exposed in the third section. I would love to hear how the book reads for you - and others. Thanks for your question! What a great idea! I loved this virtual salon. I feel nourished after reading the questions and responses. Thank you both for putting this together! And a question to Susan-- as someone who is having a 2nd book come out in the world in October, I'm interested in hearing how you feel when a book finally materializes from your words to a full book that is out in the world. Is it all (or mostly) happiness and excitement, or do you ever feel nervous or any other emotions? Congrats and thanks for such a wonderful virtual salon. I loved it! Did you get another madeline? Some punch? You've asked a difficult question. I remember opening up the boxes and being so relieved that I absolutely adored how the cover came out --- then I was scared to read the book --- what if it didn't work as I had hoped? Finally, it still wasn't real, even when in my hands. I placed a copy by my bed, in the living room, the bathroom -- every room in the house so that I could start to believe that my years of work had really arrived in the world. To further answer your question, the book is still a new born ... just over three months old. I worry about whether it will be well received. Will people enjoy it? Be inspired? WIll it echo the lives of others? Too soon to tell -- although it has received some positive reviews. Yes. It is (mostly) happiness and excitement -- but not all. Am I letting others know about the book? Am I doing enough readings? Should I contact a restaurant about doing a reading (I really want to read in an organic, beautiful restaurant with a view). The important thing (I hope) is that i feel I did my best with this book -- and so believe that others will find the sustenance I intended in The Alchemist's Kitchen. Thanks for the question -- And I look forward to the arrival of your book, Letters from the Emily Dickinson Room. Thanks, Susan! I appreciate your response. It helps me with my own emotions as I realized as my book comes closer, I've had a good dose of nerves as well as this huge excitement. It is a risk to put our work out into the world and yet, there is this other level where our book goes on without us and meets people and interacts with the world. A good thing, definitely. I love the idea of a restaurant reading! Thank you again for your response and words. And for The Alchemist's Kitchen as well. I have been enjoying it for the last few months! Thank you, Kelli ~ Another cookie? Some watermelon? This is a fabulous salon -- thanks, Diane and Susan! The food is absolutely gorgeous. I so enjoyed the reading (including the feline backup vocals!) -- and especially reading "Rental" along with the story behind it. What a beautiful salon! I'm very interested in Susan's answer to Midge's question, which I was wondering about myself. I was also going to ask you if there are any daily rituals that keep you going--or any favorite authors (like Rilke) that sustain you. Do you have periods of doubt? Balance? I think my writing self comes alive in the summer and during winter break. It is hard for me to sustain the inner quiet I need to write during the school year. That said, I have an amazing writing group that I meet with monthly so that I continue to write during the school year. Without this dedicated group, I shudder to think what would happen. If i write and complete one poem I'm satisfied with (!) each month during the school year -- that's huge for me. As to your other question: I am now working on two projects (at least). First, a poem sequence on the fires in Spain and the subsequent evacuation. I've a grant from the city of Seattle to write a chapbook length collection -- so I'e lots to do. I'm also working on a program with the Frye Art Museum writing poems from their founding collection and putting on an event. Oh yes -- and I have a commission to write a poem on "Night Fight" for the Washington State Humanities Commission. Yikes, I think I'm already far behind! Yes -- poets to sustain me. I love to immerse myself in a writer's work. Right now, as you saw from my blog, it's Rainer Rilke. I have the new gorgeous selected translations by Edward Snow, the biography by Freeman, and as of yesterday, the letters between him and his lover, Lou, who eventually became a guiding muse and lifelong friend. THe letters span 25 years of his life. It helps me to immerse myself in a poet I admire in this way. And I feel as if I'm developing a relationship with their lives as well as the work. Susan, many writers revise and revise. What happens after that first draft? Do you put it away and then come back to it? Revise right away. Were there any poems you "abandoned" because you decided you didn't want to include them in this collection? What wonderful projects you are working on? Yes, I abandoned about a dozen poems from the original manuscript -- including one that was at one point titled "The Alchemist's Kitchen." It's a poem I like, but I don't know that it's successful and it certainly didn't sound like my other poems. I had many poets (about five) read the entire manuscript and I asked them what to take out as well. The good news is that I was allowed to replace weaker work with many newer poems -- even a few I wrote last summer. Something about living in Spain in 100+ degree heat with no AC allowed for only necessary poems to come into being. It was too hot for weak work to survive -- although I had no sense of this at the time. Your other question is harder for me to give a single answer to. I am a chronic reviser. I need it as my first few drafts are usually quite flimsy. Having said that -- the number of revisions I do and how close to the original draft they happen, varies wildly. "Hunger is the Best Cook" started with a few lines scribbled in my notebook at the Frye Art Museum and then put away for several years. The poem went through perhaps 30 drafts -- that's not unusual for me. On the other hand, "Cruise of the Christians" I wrote in one 100+ degree in Spain. I made only a few revisions in the months afterward before it went in the book. But a longer process to complete something is more the norm for me. "A poem is never finished, only abandoned," resonates with me. Yet, I find as I get older (!) I like to not linger for years on the same poem. What is the difference? Why does one poem take one afternoon and another one take years? I have a theory about this. Poems that share a certain scaffolding with something I've written before don't need as much time as my unconscious has a pattern to follow -- but something that is brand new for me -- as writing about photography was for me when I wrote "Hunger," well, there 's a longer learning curve there. Oh, Maureen! I just went on and on about your questions and google refused the length of my comments. I guess one question at a time. They're both great ones. Yes, I abandoned about a dozen poems from the manuscript. Each one felt like a small betrayal. Yet, now that the book is done -- I don't miss any of them! Many were published in journals but they weren't strong enough for the manuscript or the topic didn't fit. I even took out what at one point was the title poem, "The Alchemist's Kitchen" because it wasn't a good fit with the rest of the poems. I am also very lucky that my publisher, White Pine, trusts me enough to allow me to add poems and take poems away up until 6 months or so before publication. I know it made this a much stronger book and I'm grateful to Dennis for that. Susan, enjoy the questions and comments. Great idea. I'm curious as to what you do to balance the material in a manuscript to find connection between individual pieces and at the same time not be too redundent. Thanks for taking the time to respond to questions. Thanks for caring enough to ask questions! If you've read any of The ALchemist's Kitchen you know that I am not good at staying on one theme. I believe that chapbooks need to be cohesive on one idea -- but not full length manuscripts. My poet friends in other countries tell me that they only worry about publishing their best poems. I think I have a pretty short attention span so that helps me from going over the same material too often. The other side of your question is my challenge: how to make the themes cohere. Luckily aging and death have a natural connection so my work connects thematically. The invisible thread running throughout the book had to do with transformation - our ordinary lives into art, for one. The title of The Alchemist's Kitchen allows for, I hope, many different ingredients that come together in unexpected ways. Perhaps we can chat more over a glass of fruit punch? Are you still here at the party? Maybe by the food? I didn't answer your question about writing tips. I do have one! Tell yourself it is fine if you don't write today; it's perfectly ok if you just sit and read and stare out the window -- but you need to dedicate some time for that in a space different than where you pay bills. As soon as I know it's okay, that I'm still a decent human being if I don't write, then I will be inspired to work on a poem. The trick is to relieve the tension. Hope that helps! Hi Diane. Hi Susan. Sorry I am late. Congratulations on your book, Susan. Well done! I have been reading your recent blog and enjoying your entries on Rilke. My question for you links to Rilke who struggled with the “angel” and beauty as nothing but the beginning of terror we are still just able to bear... Having stopped the clocks, followed the ghost in your poem, Different Places to Pray, how do you find this kind of balancing act; and does it become easier with practice? Susan, congratulations! I was wondering if you could tell us how you became a poet in the first place. What inspired you to write your first poem? Susan, thanks for your answers to both my questions -- it helps a lot! I do find that having a dedicated space to write/think is essential ... you said it perfectly: "a space different than where you pay bills." Glad you could make it! I know you had a long trip. Thanks for coming! I feel so inadequate in terms of your question. I know that writing is hard for me. I am not one of these folks who "loves" to write. On the other hand, I think writing gets the best of me --- and I cannot imagine my life without it. In part the reason I began a blog was to feel like a writer more often. It also has helped me to be less fearful of the blank page. I am a slow poet, but that's not possible in the blogging world perse. I am a slow writer and to be honest, most of what I begin never gets completed, let alone published because I am a very harsh critic of my work. It is hard for me to feel proud of what I do because I always have another vision of where I want my work to be. I usually hate everything until I've put it away for a few weeks and then it sometimes is easier to feel interested in again because a different "I" wrote it. Wow. Long answer to your question and I'm not sure I am on the mark. Would you like a drink? I wrote a book of poems when I was in 3rd grade. I have no idea why. I loved my teacher and she loved poetry. Heard you on the radio tonight --- sounded great! Thank you Susan, yes, I’d love a drink. A cool glass of sparkling water, maybe, given this heat. Thank you for your answer too. 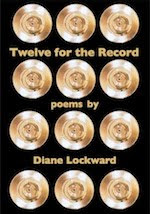 I admire the lyrical beauty of your poems, in particular how – however “slow” or difficult the process of writing may have been – the finished poems face their subject without losing their equilibrium: each poem achieving a resolution, making peace with its subject; reaching a fine balance. Thanks so much, Stella. I am honored by your words of praise. Here's a glass of sparkling water with a twist of lime. Stay cool.